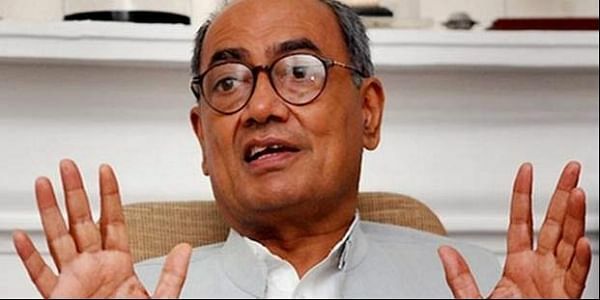 AICC general secretary Digvijaya Singh on Tuesday demanded an NIA inquiry under judicial supervision into the alleged encounter killings of eight SIMI members in Madhya Pradesh. VIJAYAWADA: AICC general secretary Digvijaya Singh on Tuesday demanded an NIA inquiry under judicial supervision into the alleged encounter killings of eight SIMI members in Madhya Pradesh. He also sought an investigation into the encounter in which 31 Maoists were killed in Malkangiri of Odisha. Speaking to mediapersons here, Digvijaya raised doubts over the encounter and pointed out that contradictory statements were given on the incident by prison security personnel and the police. “The escaping of eight prisoners from a high security prison is beyond imagination. In 2013 too, five SIMI activists escaped from Khaldwa prison in Madhya Pradesh,” he said. The AICC general secretary demanded that Andhra Pradesh Chief Minister N Chandrababu Naidu make a statement on the whereabouts of CPI (Maoist) leader Akkiraju Haragopal alias Ramakrishna. “Naidu should disclose whether Ramakrishna is in the police custody or was eliminated,” he said. He wondered why the encounter killings of Maoists were on the rise in Naidu’s regime, both before and after the bifurcation of the state. Digvijaya Singh alleged that Naidu had openly announced that each MLA candidate would be given Rs 10 crore in the next Assembly election to win. “Chandrababu Naidu had compromised with the Centre on the special category status issue, despite the Congress government at the Centre making all provisions for the state in the AP Reorganisation Act,” he said. Further, he alleged that the cost of projects like Polavaram project were being inflated. He accused the AP CM and Telangana CM K Chandrasekhar Rao of being experts in inflation of project expenditures and siphoning off money to fill personal coffers. The Congress will organise programmes in Kurnool on November 19 to celebrate the 100th birth anniversary of Indira Gandhi.